Thirty-three years ago today, I woke up in a hotel room in Walt Disney World, turned on the TV and learned that John Lennon had been murdered. My heart dropped. It was just so sad and a travesty, really, that such a peaceful person should die so violently. John was my favorite Beatle. 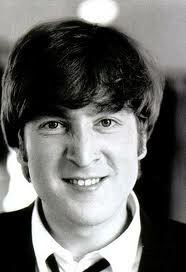 Although all my friends were in love with the “cute one” Paul, I was drawn to John. I loved the shape of his nose, his kooky round glasses and cute smile. I loved that he was the free spirit of the group. Yes, he was the bad boy, and, no, I never really got the Yoko Ono attraction, but you have to admit that it was a true love match, for sure. To me, he was the epitome of talent, a heartfelt poet, a free bird, and, as a latent hippie myself, I “got” him. He said what he meant and meant what he said, although I don’t think the derogatory comment about being “more popular than Jesus” was more than a passing comment and was taken out of context. My belief is that it was off the top of his head and not meant to be taken seriously. I think he was just so overwhelmed by the Beatles’ fame that he just blurted it out without thinking. That’s just my point of view. As I was pondering all of this about John today on my morning walk with Bella, snowflakes started to fall. It was quiet in the park with only one or two people mulling about. It felt serene, like a good place to honor John. 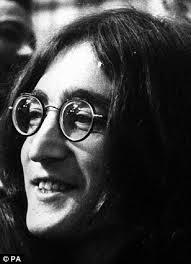 When I got into the car to return home, the first song I heard on the radio was “Imagine.” The world hasn’t turned out quite as John imagined. Not yet anyway. But his songs leave a legacy that will never be matched and will challenge us always to live, love, try harder, take care of the less fortunate, and to strive always to be peaceful. 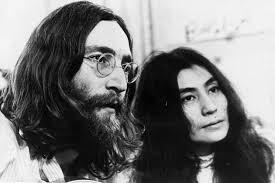 God rest your gentle soul, dear John, and help us to keep believing for a better world.